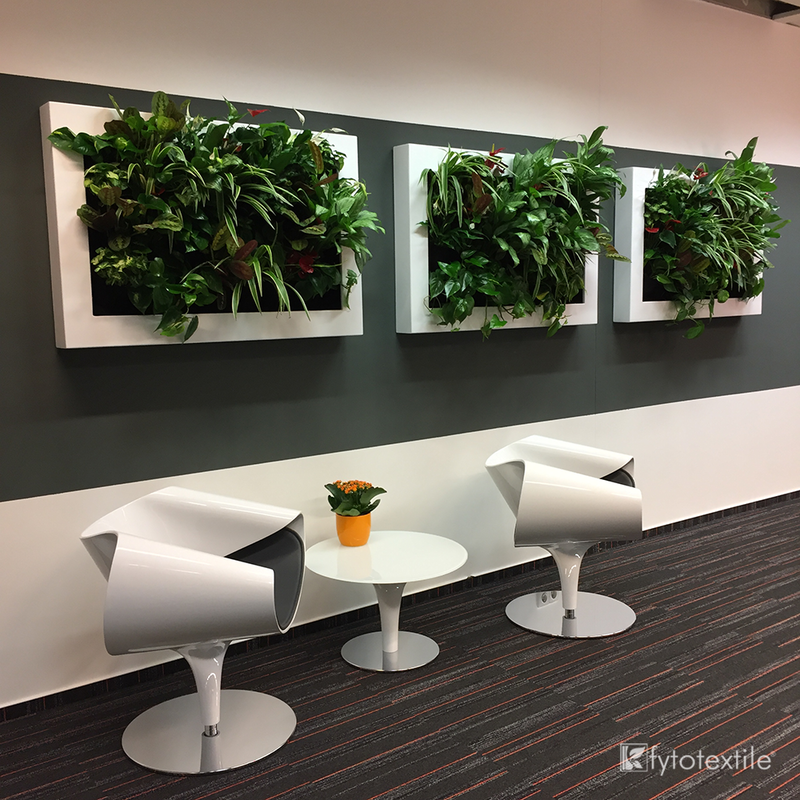 These three natural Slimgreenwall® canvases, whose measurements correspond to the small standard model of our available formats (1.20 x 0.80 m), have been installed in the reception of offices in Prague. The landscape design has been done by Terapia Urbana, and the system has been installed by the company Gardners last November of 2017. 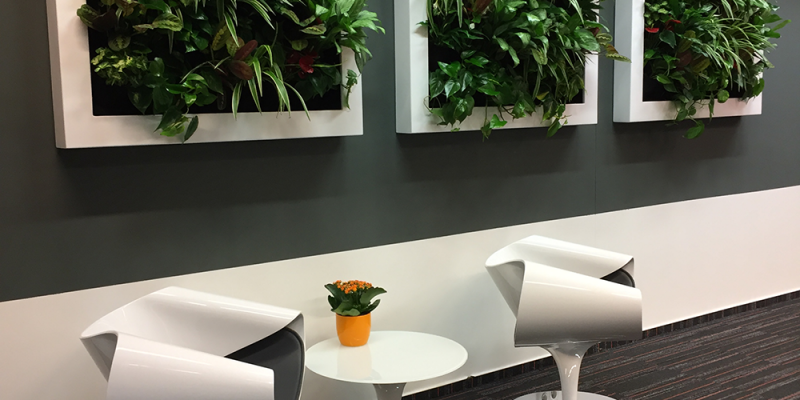 The three facilities flood nature of the access area of ​​this company. 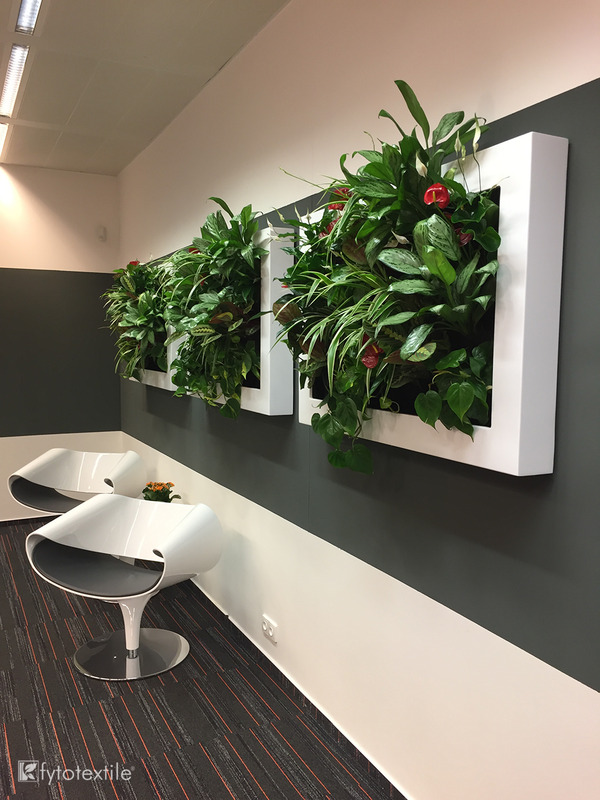 The result is spectacular from the moment of installation, without the need for an initial development period. 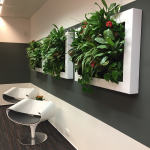 The slimgreenwall natural canvases do not need water point or drainage, they only need to be connected to the current, so they are ideal to be installed in interior spaces where works are not possible. Only the weekly filling of the water tank is necessary, to guarantee a correct operation over time. 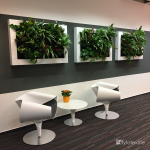 They have a galvanized steel sheet frame lacquered in the chosen color, and provide an elegant and robust finish, suitable for interior spaces where excellence in design prevails. 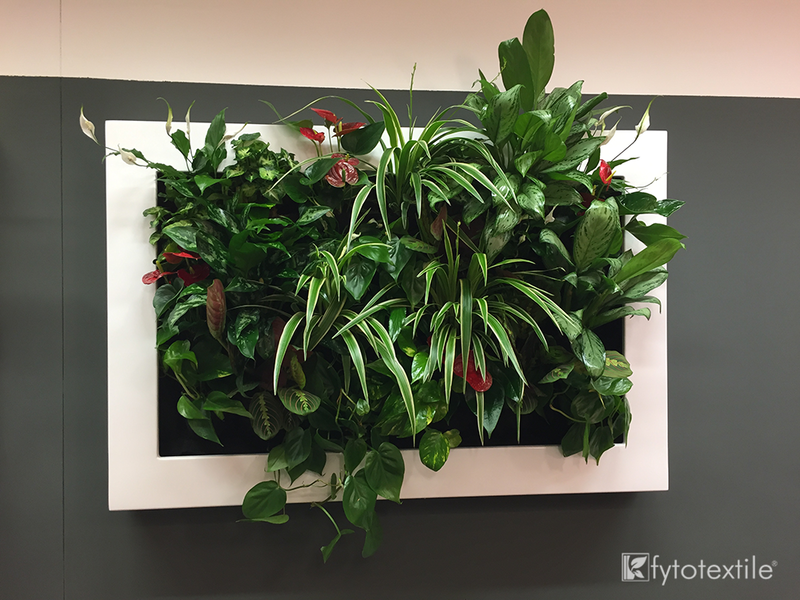 These compact vertical gardens of small format, are manufactured to order and marketed by Terapia Urbana, and use the Fytotextile® technology to guarantee an excellent development of the plantation. 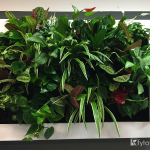 Are you thinking of including a vertical garden in your project and need professional technical advice? And remember, if you liked this project, you can help us spread the word by sharing it on your social networks. Thank you very much! 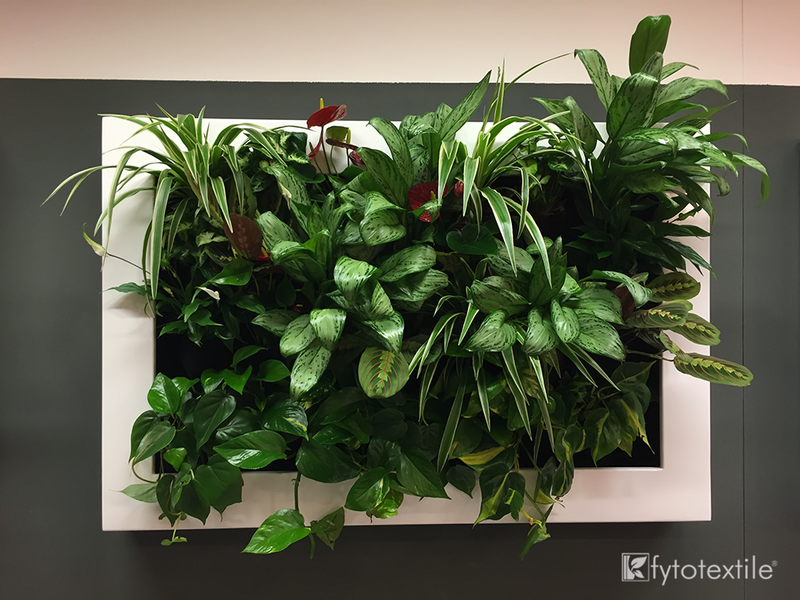 If you are a legal or individual person interested in purchasing a vertical garden or a green roof, we are ready to help you. 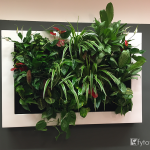 If you are a designer or a prescriber of a project including vertical gardens or green roofs, we can consult you on this issue. 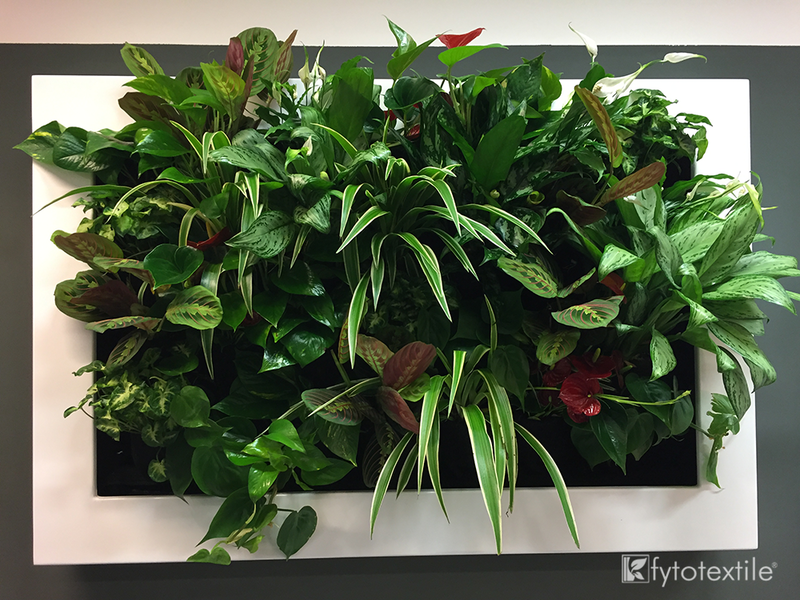 Are you a specialist, and do you need to install a living wall or a green roof? We are at your disposal. 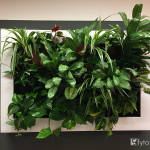 If you are a company, and you want to distribute our systems outside Europe, contact us.